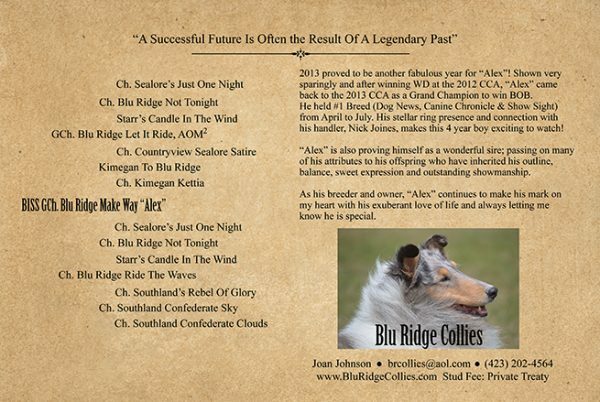 Stud Cards are great for handing out to potential clients. 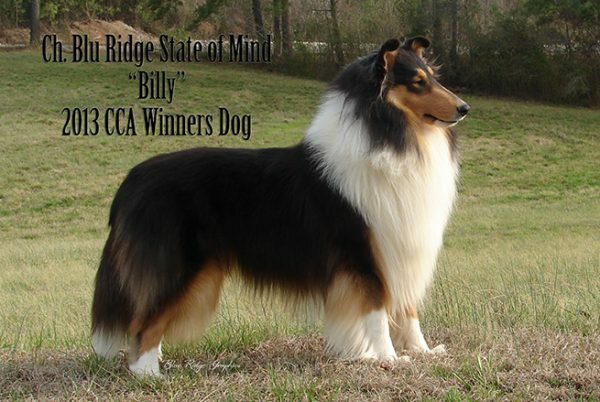 Comes with pedigree and highlights important wins. 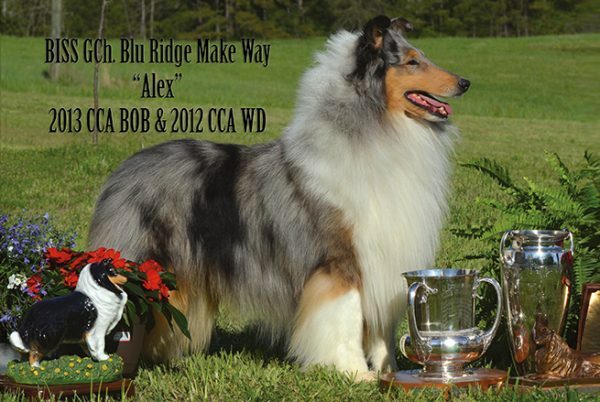 6″x 9″ full color, 100 lb gloss postcard. 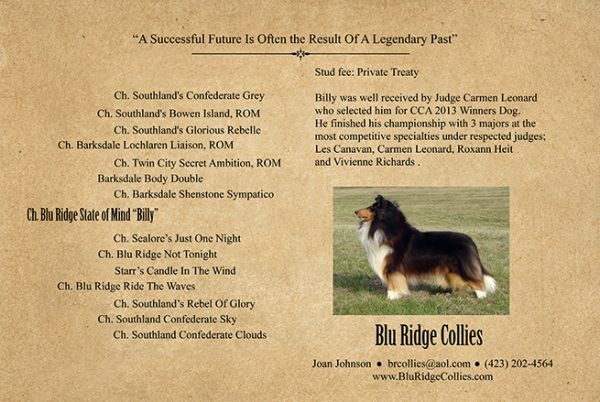 Designed and published for Blu Ridge Collies.